Hello everybody! Christmas is coming OH! OH! OH! Today it's my last working day before Christmas and お正月 holidays, I'll be back at my desk on January 4th. YAY! 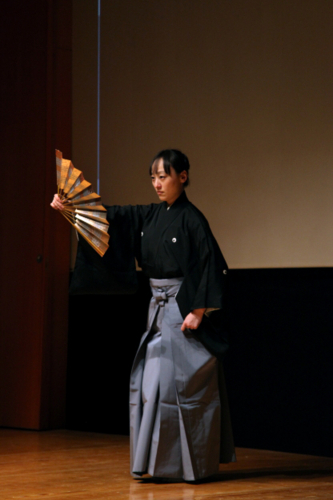 Before leaving I'd like to share some picture with you, they're from the concert held here on December 7th. 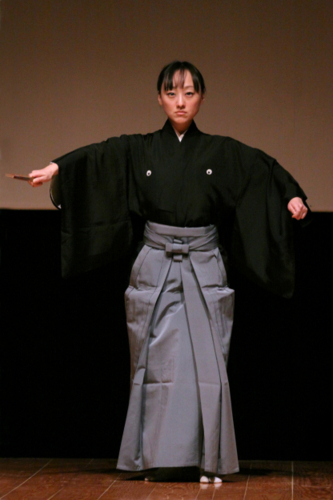 The event, called BORDERLINE, was a cross-over between contemporary music and Noh Theatre, with the involvement of the Italian band Alter Ego (flute and two clarinets) and the Noh performer Ryoko Aoki. 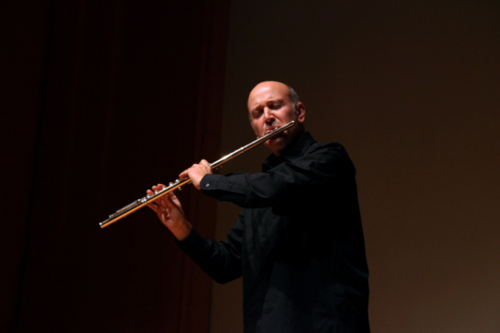 It was really a "borderline show" but the audience (around 120 people) had an enthusiastic reaction. This month we had also a couple of visits from a senior high school and a junior high. The kids came to see the exhibition (the one I wrote about in my previous entry) and had a lot of fun making origami with my colleague Daniela. I took one picture but I have to put a black "mask" on the faces because of privacy laws. Here it is. And that's all folks, sorry for the short entry but I have to finish some work before going to vacation. I leave you a picture of the traditional Italian Christmas dessert. 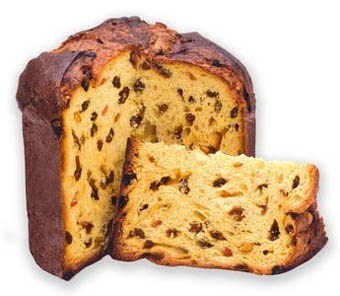 It's called PANETTONE and is a kind of sweet soft bread filled with raisins and candied fruit. It's DELICIOUS! I wish you all a wonderful Christmas and a more-than-wonderful 2012!